On Thursday, August 28, the Abante Colleagues met with trainers Gary and Bobbie Brown at the KnuckleUp Training Facilities in Sandy Springs, GA. The meeting was a part of a Marketplace Christianity session, where Gary and Bobbie Brown shared their story as marketplace missionaries to the athletic/Fighting world. Master Instructor and Coach Gary Brown has been boxing since 1951 and in 1957. He began studying martial arts in his hometown of Columbus, Ohio. Coach Brown earned his black belt in Tae Kwon Do through the American Taekwondo Association (ATA) in 1964. In 1970, he trained and studied martial arts with the Korean Rock Unit during his tour in Vietnam. After, he returned to Columbus and began teaching children’s boxing and martial arts at the Ohio Youth Commission where he later became the executive member of the Ohio Amateur Athletic Union Boxing Commission. From 1974-1977, Gary Brown was a professional boxing with an outstanding record of 32-2-0. He later became most notable for training Bill Douglas, father of Buster Douglas, former holder of the World Heavy Weight Boxing Title.In 1979, Coach Brown opened Eagle Karate and Boxing in Georgia. 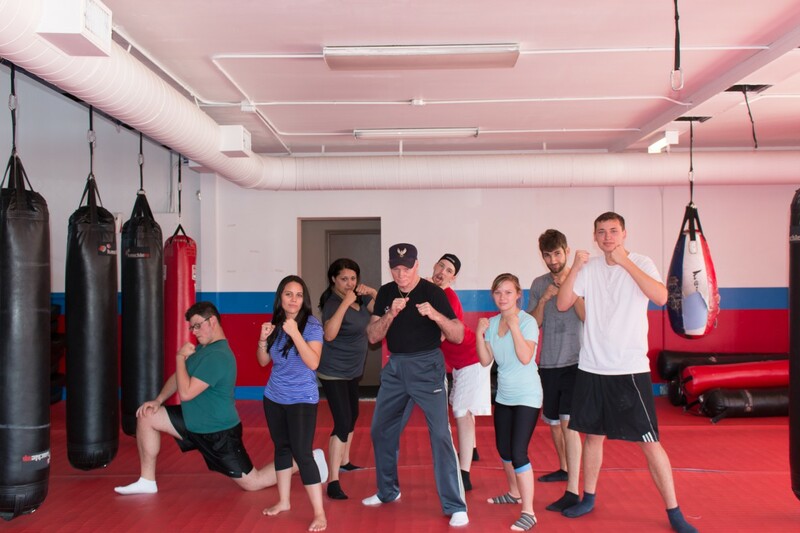 After over 50 years in Boxing and Martial Arts, he holds several black belts and is declared a recognized Master in five styles and systems.Coach Brown has trained several World Champions in Boxing and various styles of karate and Kickboxing. Some very notable names Coach Brown has trained and cornered are James Hilmer Kenty, Jeff Griper, Steve Sheppard, Brad Hefton, Jerry Rhome, Dennis Lane, Jackie Eberhardt, Rick Roufus, Yves Samake, George Allen, Trisha Hill, Todd Duffee, and Susan Taylor among many more.Coach Brown teaches sport combat fighters at Knuckle-Up in Sandy Springs, GA. He trains in several fighting forms like, Mixed Martial Arts, Muay Thai, Boxing, Kickboxing, Brazilian Jiu Jitsu, and Kali, besides weight Training and personal fitness. His wife, Bobbie Brown was rated #2 nationally in IKF sanctioned full contact Kickboxing in 2003. Both Gary and Bobbie have been inducted into the Martial Arts Hall of Fame.The Abante colleagues were able to hear their story, and gain a good understanding of how Gary and Bobbie’s faith has led the way to their successful careers. Because they are excellent at their craft, they are well respected in their field, and as result God has allotted them plenty of opportunities to share their faith with coworkers and clients who genuinely look up to them as role models in society.After their visit to the Knuckle-Up training center, the colleagues were treated to the World of Coke, courtesy of Michael Dunning, the father of former Abante International Colleague, Ashleigh Dunning. Any visitor’s tour through Atlanta is hardly complete without an experience at both the World of Coke museum and the local Varsity restaurant. The out of state colleagues enjoyed their first ‘slaw-dog’ and the obligatory taste of Coke Cola’s ‘Beverly’ at their tasting center.Abante International is proud to count KnuckleUp’s Gary and Bobbie Brown as friends, and fellow marketplace missionaries.